Episode 25 feels a long time coming! Numerous natural disasters delayed us recording, but we fought through the adversity for our listeners! This is a in depth hobby catch up with all three of us, where we cover the projects we have been working on. I provide some coverage of Heat 1 and the general shenanigans at EXTINCTION. Rob finished up by covering all his upcoming plans. 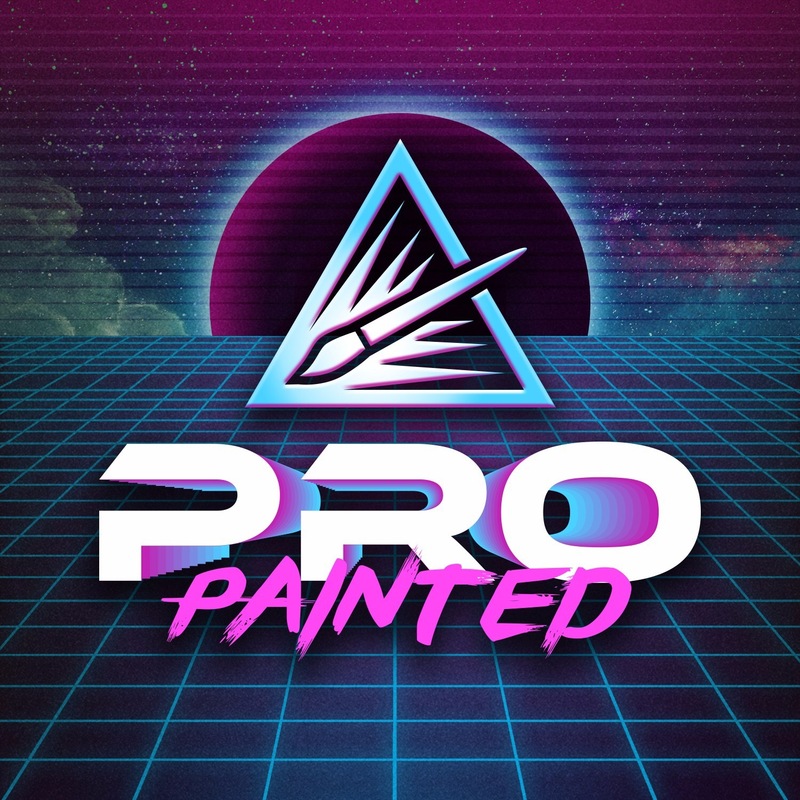 Use code propainted for an extra 5% off GW product including pre-orders! For episode 24 I am joined by non-other than the Age of Sigmar Painting Master himself - Aaron Bailey! Ian also tags along as we chat recent hobby, such as Aaron's Mongol inspired Beastplain Riders Destruction army, and I discuss finishing my Temple of Set Daughters of Khain army. All while Ian messes around with colour-shift paints. We discuss 2 events, the Painting Masters and Paul Buckler's Narrative driven 'Fate of Sigmar'. We then delve deep into Aaron's approach to his award winning Legion of Night Wraithfleet! And use code propainted for an extra 5% off GW product including pre-orders! Episode 23 is fresh in your feeds! January 2019 has been a great start to the hobby, with Ian working on updating older models to Gloomspite Gits, Matt has finished a 'concept' Deepkin army while working on tabletop DoK force and Rob announces the completion of Be'lakor! We finish up with a round of listener questions. Join us for Episode 22 as we rundown the AoS Releases of 2018. Rob also updates us on Bel'akor and some improvements he is making, while I talk about changing an armour colour scheme mid-project. Be aware of some page flicking audio as Ian thumbs through his White Dwarf collection! We unfortunately had to cut the episode short, so expect our next episode - Looking Forward to 2019, soon! As promised, Episode 21 is hot on the heels of our last episode. Ian joins me this episode and provides details on his next Skaven Army Project. We then delve straight into a Hobby Chat with Steve Foote, we talk Narrative, terrain, army concepts and planning. I also reveal my plans for SCGT next year! For Episode 20 we delve into the projects we have been working on, Rob details his progress on Bel'akor, while Ian regales us with stories of Shadespire Warbands (he still hasn't played a full game). I also detail the army I unveiled at Realms of War 2018, my Kadgetzan Goblins (Grot themed Kharadron). We also cover 4 events: Glory and Death (Doubles), FacehammerGT 2018, Games Workshop 'Grand' Finals, and the aforementioned Realms of War 2018. I also go on about a bit of a rant about trophies being called 'Best Painted' while Rob tries to hobble some true painting talent! Episode 19 is a return to our 'Hobby Chats' and for this episode Rob leads the way as he interviews the grand constructor himself; Bishmiester! This is a particulary insightful episode where Rob really digs into the theory and thought process behind Bish's amazing projects. Their is also plus plenty of goblin/grot chat, issue specific white dwarf references, listener questions and much, much more! Episode 17 is a blinder of an episode, I am joined by the Youtube sensation that is Mitzy and Jimbo (of the Mitzy and Jimbo Show) and Mr Ian Gilmore. This episode we have a roundup of our hobby, Ian explains how much buying he has done, we all (still) moan about the heat! We also go into more detail on the origins of the Mitzy and Jimbo show while also delving into the Narrative event they both help run - Realms at War (RAW). Expect much crazyness around alchemical potions and potatofication! A small change to our schedule for this episode as I am joined by Ian, and Rob rather than a guest. Due to a much needed rest from Bossfest we have needed to skip the Hobby Chat episode this time as time ran out on us. Instead, you can listen to us cover our regular hobby updates, complain about the weather, cover Bossfest, share Narrative army ideas, talk Killteam (shock! horror) while learning how I feel about Squats! We also slightly talk rules while covering mine and Ian's first game of the new Aos while having a chat about how the way the new rules are handled.